In the GAMS Belgium offices, is a library that is open to everyone. The material can only be consulted on the premises (no borrowing for home use), it’s free. If needed, we have a photocopier, and we only charge 0.05€ per copy. The library has books of all types (novels, manuals, etc.) but also the thesis and final graduate works of students who have addressed the theme of female genital mutilations. "What I still don't understand is why, when you consult the doctors and are prescribed medicines where you can't eat this or that, you listen to them, yet when they tell you there are risks involved with genital mutilation, you say you don't believe it. It's contradictory, no? Patrick you're keeping up, aren't you?" The contents of this book, written by Seydou Niang, produced with financial backing of the Daphne Programme of the European Union, are based on facts inspired by real-life situations. The aim is to enable both professionals and the public to learn methods of addressing the question of FGM with the communities concerned. Seydou recounts what he's heard during his awareness-raising meetings and how he proceeded to prevent FGM of the girls in his native region in the north of Senegal and later in Europe. Although inspired by the particular circumstances of one community (Fulani, north of Senegal), certain elements may also serve to heigthen awareness in other practicing communities. In fact we find most of the justifications for the practice of FGM in several different communities. "What do I class as my private parts?" "When do I wash myself?" "How do I feel when I wash?" "What should I use to wash my private parts?" "How many times a day should I wash?" "Sometimes when I wash my private parts, there are reactions"
"Why does my body react in this way?" "How do I avoid these problems?" "I feel uncomfortable and even with regular washing, these problems always come back." 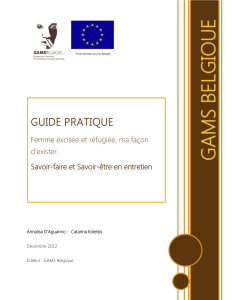 In the context of an agreement note with the city of Antwerp, GAMS Belgium has published a social map focussing on the issue of female genital mutilation. 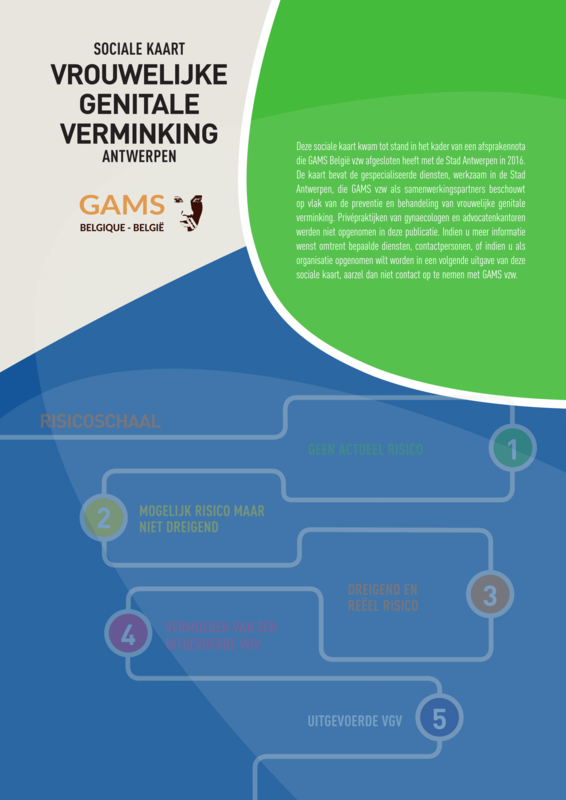 In this social map, GAMS Belgium listed specialized structures, working in the city of Antwerp, that the association sees as partners at the levels of prevention and handling of female genital mutilation. Lawyers and gynaecologist' private practices do not appear in this publication. For more information about the different structures, or if you want your structure to appear on the social map, please don't hesitate to contact us. The social map is available (only in Dutch) online. A recent study shows that in Belgium, FGM affects a great number of families: about 13,112 women have already undergone FGM and 4,084 are still at risk of being mutilated. These figures are constantly rising. To avoid an increase in the number of girls and women faced with the practice, an emphasis must be put on prevention. To this effect an overall view of the problem is essential, even among young people. They can be confronted with this problem as much in their entourage as in their circle of friends. Through this educational game, the young people search themselves for the answers to questions concerning FGM, but also other types of gender-based violence and discrimination. They are asked to consider in a critical manner these issues of every day life. In the games handbook, information necessary relating to the topics addressed is listed in a comprehensive manner in order to make it easier for the animator to address topics that are usually considered taboo. 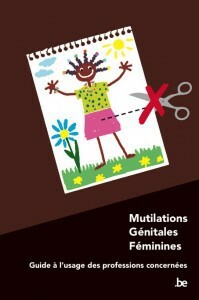 GUIDE: WOMEN, FGM AND EXILE: WHAT THERAPEUTIC SUPPORT IS POSSIBLE? 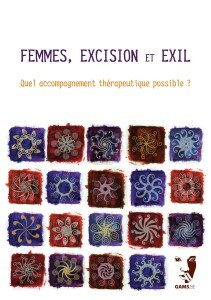 A collective work which offers a review of the various approaches and therapeutic techniques used currently in Belgium with women affected by FGM and forced marriage. "In our society, it is now common to hear of genital mutilation. Radio emissions debate the origins and the socio-cultural context of FGM. On television, women personally concerned reflect about the harmful consequences of mutilation on their health. In newspapers, mothers interviewed describe how they have left their country to safeguard the physical integrity of their little girls... but what about the psychological aspects? What are the psychological challenges of FGM and what therapeutic work is possible to offer these women? ». The book is free. 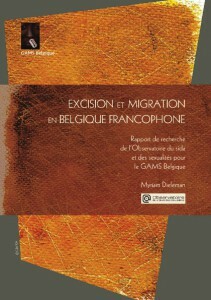 You can get the printed version (in Dutch or in French) by contacting GAMS Belgium or download the book in PDF format. For more information contact Annalisa D’Aguanno, 02/219.43.40 or annalisa@gams.be. PRACTICAL GUIDE. BEING A CIRCUMCISED WOMAN AND REFUGEE, MY WAY OF EXISTING. EXPERTISE AND KNOW-HOW FOR INTERVIEWS. For several years now, as psychologists, we are called upon to assist in the personal journey of women, victims of female genital mutilation and forced marriage. We also have the opportunity to provide training on the psychological aspects of the care of these women and hear from participants, questions, concerns and sometimes distress compared to real life situations in the presence of these women. Through this guide, we try to provide an answer by providing tools/resources to address the plight of women and their personal distress as a psycho-medico-social and even legal worker. 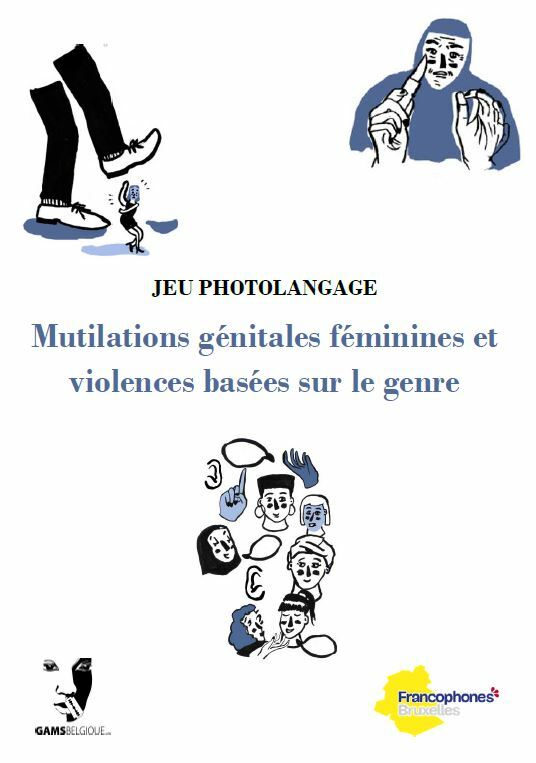 New release of GAMS Belgium (Group for the Abolition of Female Genital Mutilation), In partnership with the Centre of AIDS and sexuality (FUSL): "FGM and Migration in French-speaking Belgium." Based on a field survey, the research analyzes the impact of migration on the representations and practices of FGM and questions especially conversions and confrontations in terms of normative genders and sexualities. 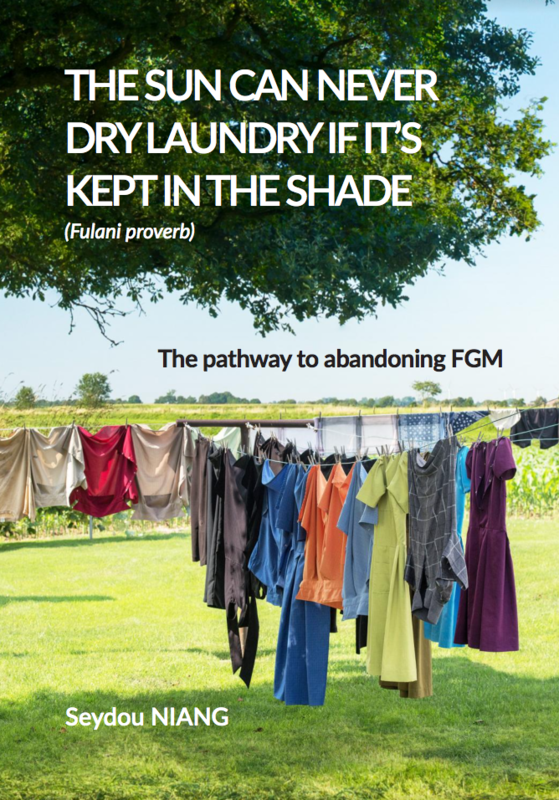 It also sheds light on the institutional dimension of the problem and raises several issues, including health, on the intersections between gender and "culture" through the scope of criminal law and international protection for female genital mutilation. 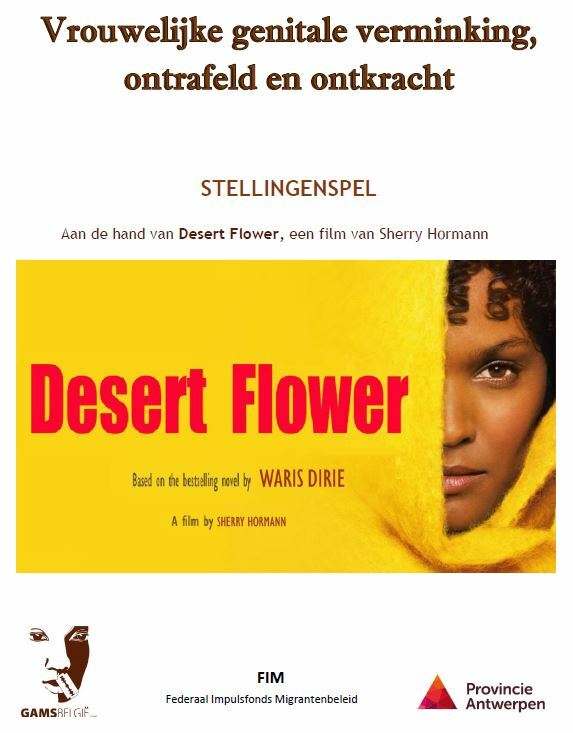 To learn more, this comic book is available in four languages (French, Dutch, English and German) from the GAMS Belgium office, 6 rue Gabrielle Petit, 1080 Molenbeek. To help with the re-edition of the French version, we ask € 15.00 per copy, postage included. To order, transfer € 15 to GAMS Belgium, bank account BE37 0012 8683 3928 and send confirmation e-mail to info@gams.be to receive a copy as quickly as possible. 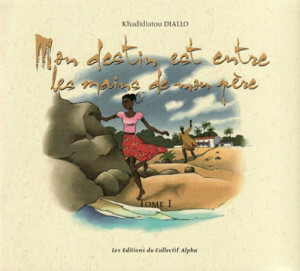 With the support of Frédéric Maes, Patrick Michel and illustrated by Anne Ponslet, the Editions du Collectif Alpha published volume I of Khadidiatou Diallo: "Mon destin entre les mains de mon père” which addresses the issue of forced marriages and traditional practices detrimental to health.